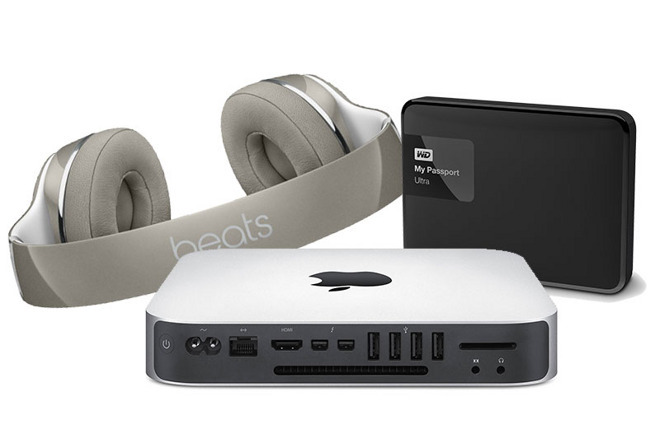 Until Feb 20th at 11:59pm only, you can grab a free pair of Beats by Dr. Dre Solo2 On-Ear Headphones (Luxe Edition, Silver) and a free 1TB or 2TB Western Digital My Passport portable drive with the purchase of some of Apple's most popular MacBooks and iMacs. This exclusive offer from Apple authorized reseller B&H Photo and AppleInsider runs through February 20th at 11:59pm only and requires shoppers to simply use the exclusive pricing posted in this article or published on our deal pages. 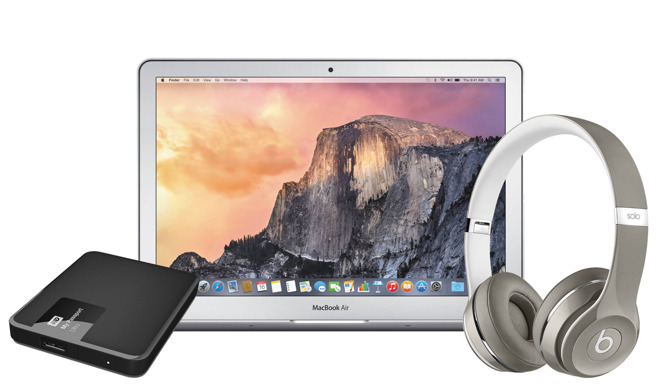 Each of the pricing links will direct you to a special bundle page on B&H's website that includes the Mac, a pair of Silver Luxe Edition Beats by Dr. Dre Solo2 On-Ear Headphones and either a 1TB or 2TB WD My Passport portable hard drive. What's more, each bundle ships free and B&H won't collect sales tax on your order if you live outside NY state. All Macs listed as part of this offer are the latest versions Apple offers unless otherwise noted. 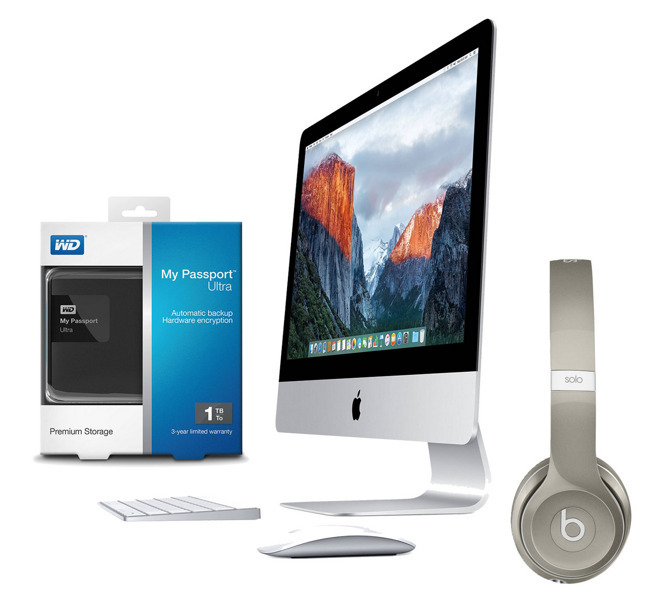 In addition to the Mac bundles where the Beats and WD drives are completely free (with additional cash discounts), there's roughly a dozen other Mac bundles included in this offer where you can grab these two items for a nominal fee of just $10 to $30 more than the retail cost of the Mac. Please Note: These deals are exclusive to AI readers and therefore, you must use a browser with cookies enabled and click directly through the pricing links in this page to get the advertised offer. If you happen to get an error or unexpected result, try quitting and then relaunching your web browser and trying the links again. If you're still having problems, you can always reach out to us at [email protected] and we will do our best to help. 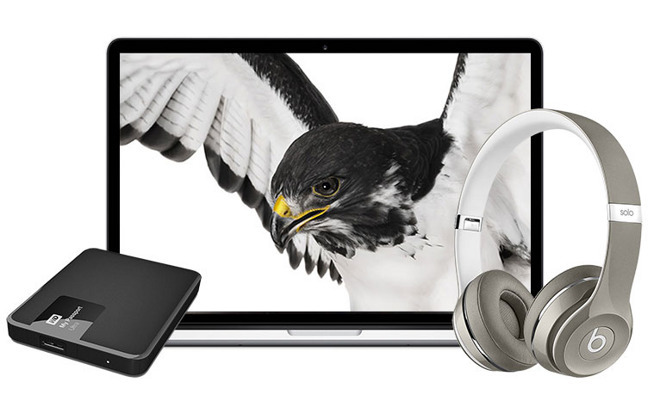 For MacBook Pros, readers can grab Apple's high-end 15" MacBook Pro (2.5GHz, 16GB, 512GB, M370X) with the Beats Solo2 headphones and a 2TB WD My Passport drive for $40 less than Apple's charges for the MacBook Pro by itself. You can also grab this same bundle on the entry-level 15" MacBook Pro (2.2GHz, 16GB, 256GB) for just $19 more than Apple charges for that MacBook. 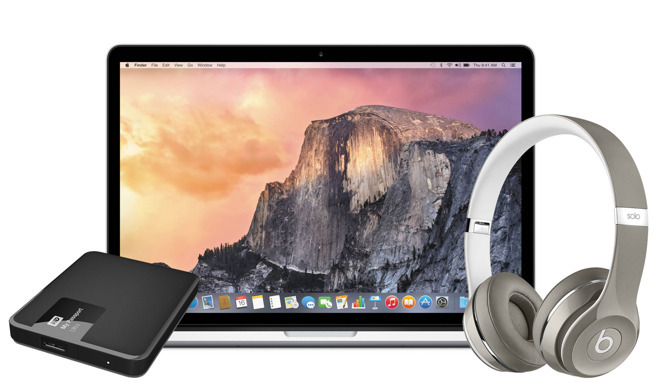 For 13" MacBook Pros, readers can purchase Apple's 13" MacBook Pro (2.7GHz, 8GB, 256GB) with the Beats Solo2 headphones and a 1TB WD My Passport drive for just $30 more than Apple charges for the MacBook Pro by itself. Alternatively, this deal is also available with Apple's 13" MacBook Pro (2.5GHz, 4GB, 500GB, CD/DVD) for $30 more than Apple charges for this MacBook, which is the only MacBook Apple offers that includes a built-in CD/DVD optical disc drive. Although this particular model has been unchanged since 2012, Apple still manufacturers and sells it as a popular current model. 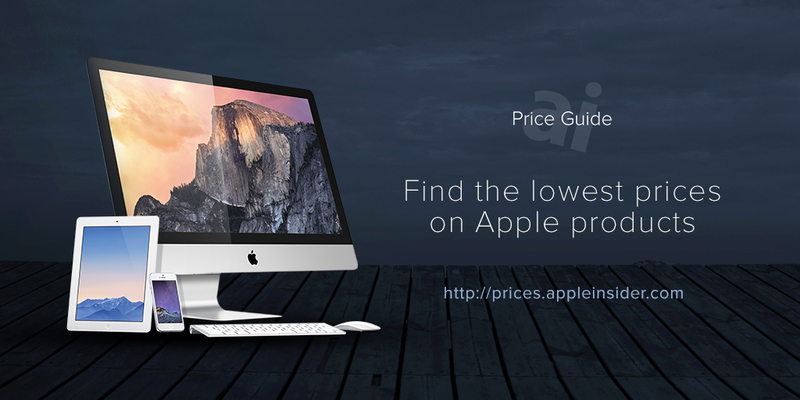 Three of Apple's most popular Late 2015 27" iMacs with 5K Retina displays are eligible for this offer. 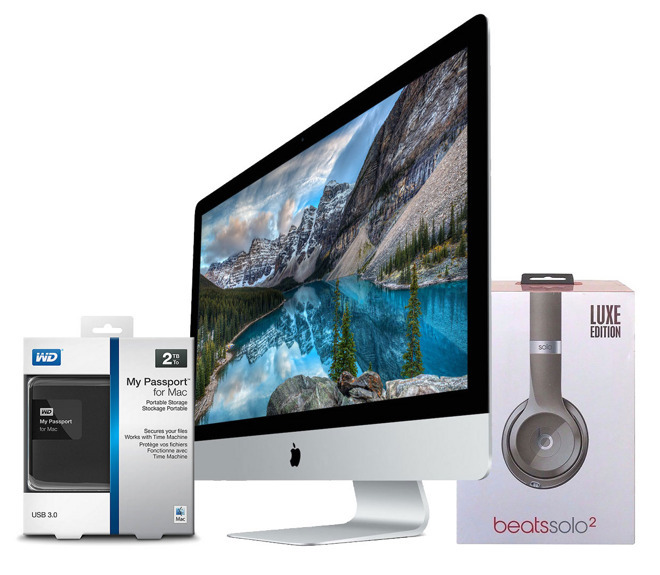 The 27" iMac 5K (3.2GHz, 8GB, 1TB, M380) is offered at a $30 discount to Apple's price with a free pair Beats Solo2 headphones and a free 2TB WD My Passport drive. 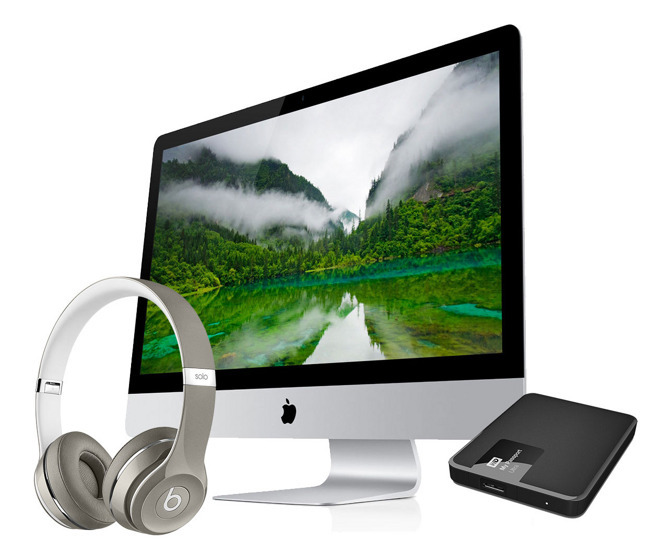 The 27" iMac 5K (3.3GHz, 8GB, 2TB, M395) is offered at a $100 discount to Apple's price with a free pair Beats Solo2 headphones and a free 2TB WD My Passport drive. 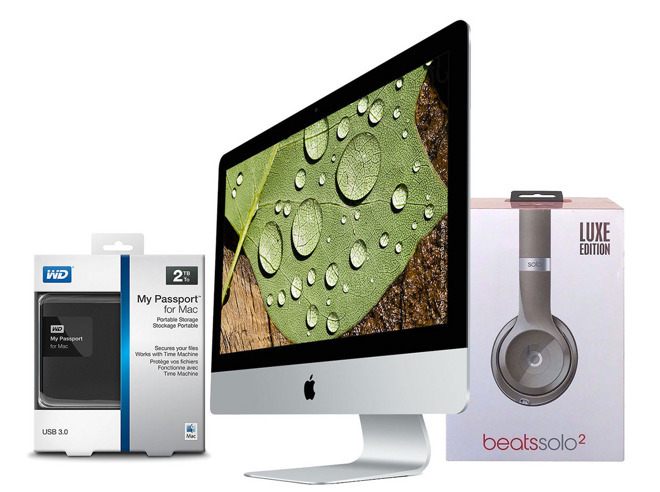 And the 27" iMac 5K (3.2GHz, 8GB, 1TB, M390) is offered at a $80 discount with a free pair Beats Solo2 headphones and a free 1TB WD My Passport drive. The deals above are just some of the killer offers being dished out by Apple's largest resellers. See if there is a Mac, iPad, AppleWatch or Certified Used iPhone deal that will save you $100s by checking out prices.appleinsider.com and deals.appleinsider.com.